I know a few other bloggers have WIP - Wednesdays, but I am SO BUSY on Wednesdays that it's never going to happen. So I hope to keep you updated with my projects on the weekend instead! 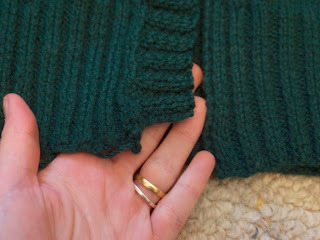 Today I'm sharing my Milena cardigan so far. 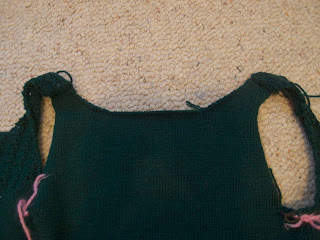 I've done one button band (left), and the entire bodice. 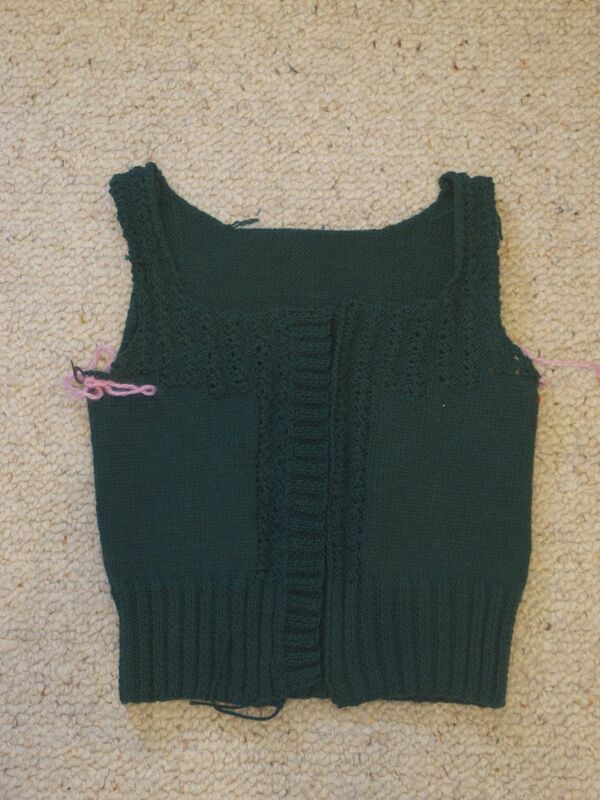 Next is the other button band, the neck band, and then the sleeves! 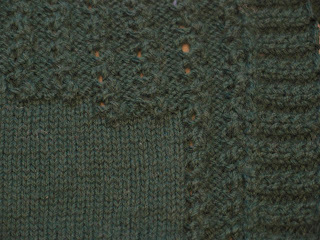 This cardigan has taken a LONG TIME, partly because it's knit on small needles, and partly because every so often I get sick of it and leave it for a week. I'm feeling fairly positive about it now though! 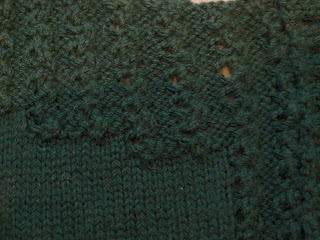 My only boo boo I can see... My button band doesn't quite go to the bottom of the cardigan! I hope some aggressive blocking can fix the problem. 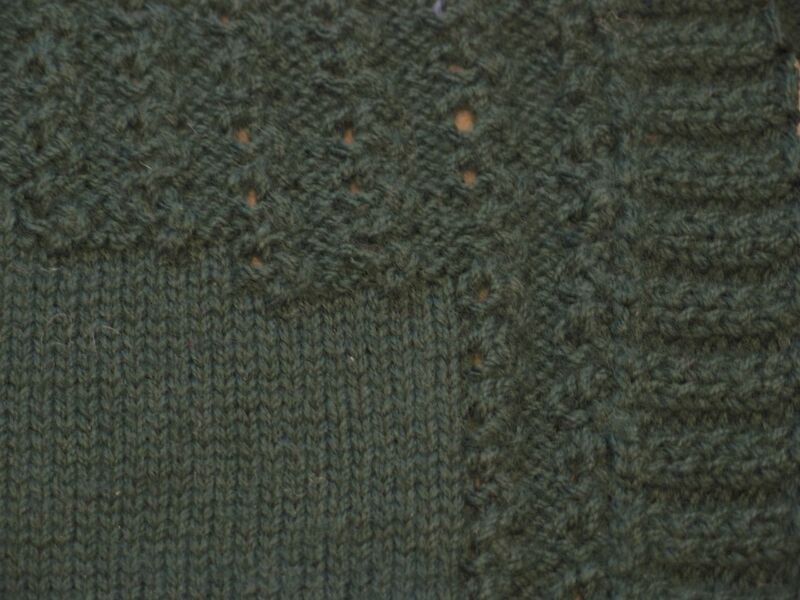 Lace pattern. It will look a bit better worn, I think, because it will be more stretched out. 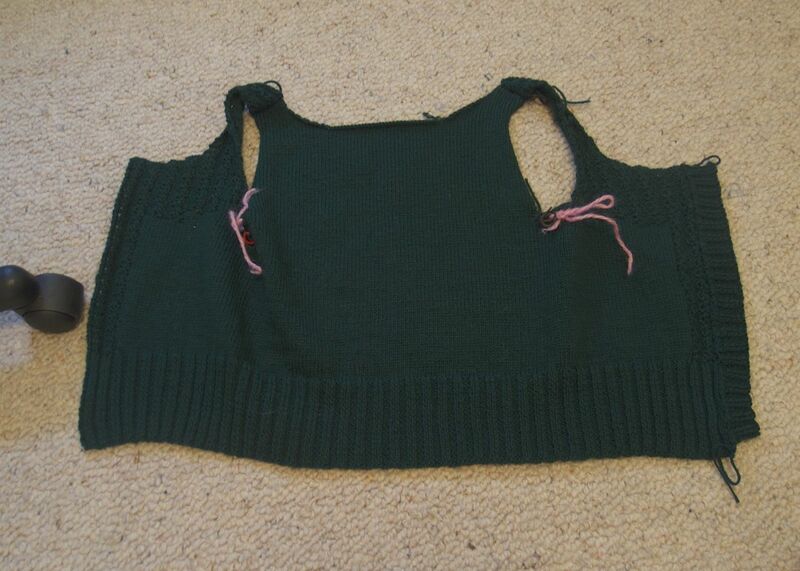 Worn with just a pin in the top. Enjoy my armpit. It DOES fit all the way round me (tight though), but I couldn't manage to pin the whole thing by myself. I'll do the buttons soon and then I'll be able to wear it as a vest! 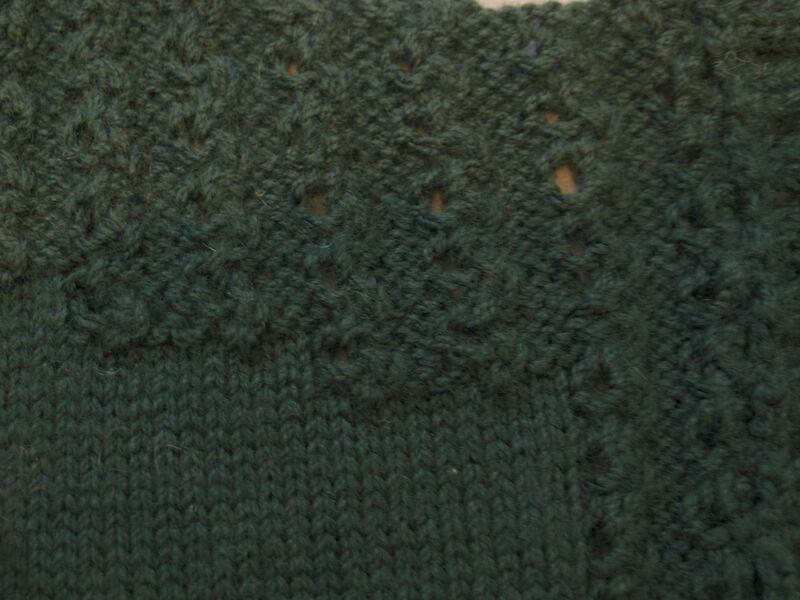 I've modified the pattern quite a bit, as it wasn't the best pattern. This photo shows how I lowered the neckline at the back, because in the pattern it just went straight across! I think I could even have lowered it a bit more. I also made the whole thing longer at the top by 12 rows. 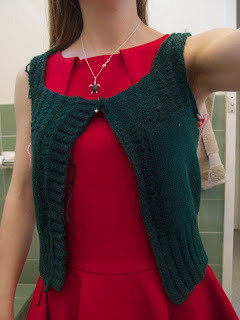 This is because I thought the armholes were way too tight! It's fine now :-) Thanks for looking!